There are so many gyms, health clubs and personal trainers out there, it can be hard to decide which one is right for you. Ultimately it comes down to who is going to be the best person to help you achieve your fitness goals in the safest and most enjoyable environment. I believe fitness and health is a long term commitment, not a short term fix and has direct mental health benefits as well as physical ones. I also think getting and staying fit and healthy should be an enjoyable part of life rather than a chore, so I focus on making fitness fun and accessible for everyone. I have always been fit and active – playing a range of team sports and leading an active lifestyle. I think every health and fitness regime should include things you love to do such as hiking, cycling, swimming or just kicking around a footy with friends! 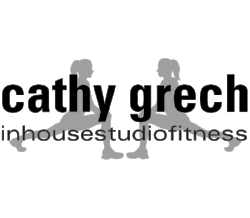 I opened my personal training studio in 2004 to provide a fresh new way of getting fit and having fun and some of my clients have been with me for over 10 years – fitness and being healthy has become a part of their everyday life. My philosophy is that your health and fitness are the most important part of your life. It is something we often take for granted but when we don’t have it, only then do we realise just how vital it is. You only have one life and we want to make the most of it! To help you achieve this I provide a comfortable environment with no judgement. I don't mind what you wear or how unfit you are. What I do care about is helping you, at your own pace, to achieve your fitness goals. At my studio, everyone is welcome! AND I WILL CARE ABOUT YOU! Why don't you come along for a week's worth of free classes? Enter your details below and I'll get in touch with you soon.